Top Places to Explore in Himachal For a Whimsical Holiday! 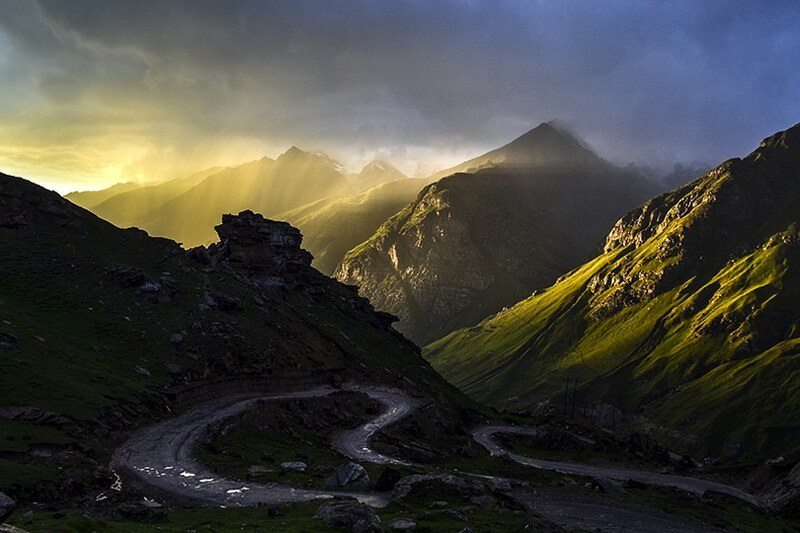 The mention of Himachal can paint a beautiful scenic picture in your mind. 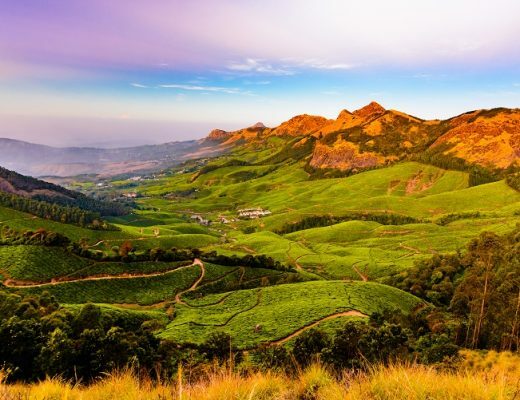 The fascinating landscape of snow-capped mountains, the lush greenery and the varied flora and fauna of the region makes it a delightful haven for adventurists, family, friends, backpackers and solo travelers. A Trip to Himachal, whose name resonates the meaning of “The Land of the Snows” cannot be complete until you’ve experienced all the four heavenly places listed below. This quaint little town lies on the banks of the famous Parvati river and is a hit amongst backpackers and solo travelers for its serene and quiet surroundings. 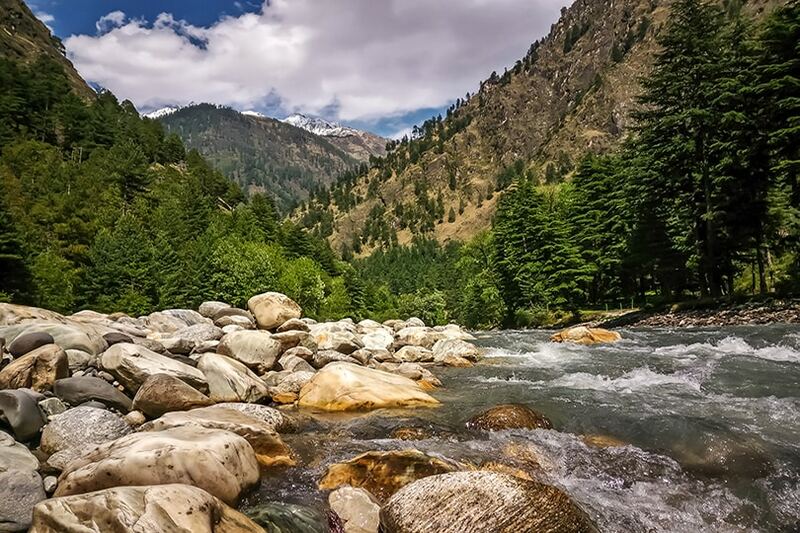 With the majestic snow-covered mountainous region surrounded by picturesque waterfalls and secluded trekking paths, you can experience all the quintessential components of nature in Kasol. Head to this offbeat place in Himachal, popularly also known as the “Little Israel of India” if you’re all for nature and trekking. Plenty of budgets stay options, and delightful cafes offering relaxed vibe makes Kasol a great place to backpack through. It is a trekking retreat for travelers who can enjoy the paradisiac beauty of nature while trekking through magnificent peaks. Kasol is an offbeat destination for backpack and adventure-junkies for trekking and backpacking through its mesmerizing valley. Take a flight to Kullu, which is the nearest airport and head to Kasol in 3 hours. Peak summer season in May and June are the best time to experience the nature of Kasol in all its glory. Once in Kasol, you cannot come back without trekking through Parvati Valley and Khirganga. If you are in for some psychedelic parties, then the surrounding settlements of Kasol such as Chalal will surely live up to your expectation. If culture expedition is your thing, then Dharamshala should be your only destination! 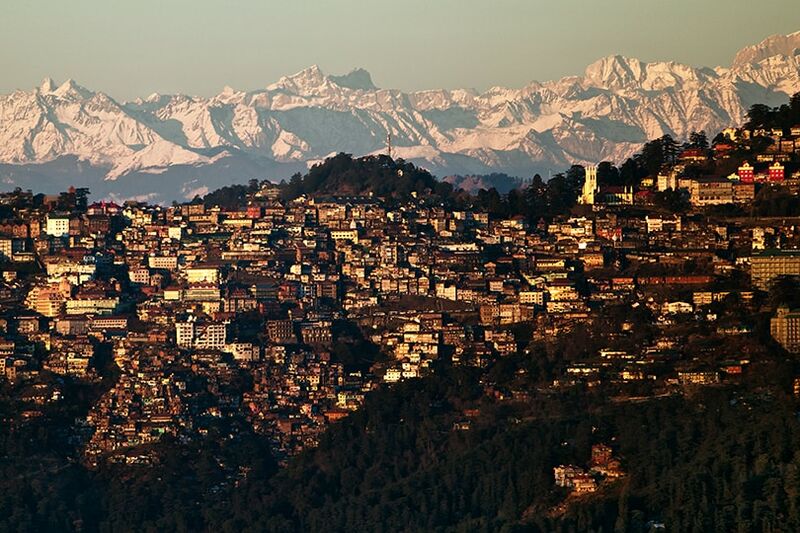 Home to the exiled Tibetan population, this region has one of the most pleasant climates in Himachal. The snowy mountainous terrains of Dhauladhar and extensive trails of Deodar forests surrounding Dharamshala creates a spectacular view that attracts tourists from all over the globe. The town is the official residence of the Tibetan leader; The Great Dalai Lama and you can witness strong Tibetan influence in this place. Enjoy the cultural and architectural attraction that hones the beauty of Dharamshala and relish some of the most delectable dishes in the numerous restaurants for a true taste of Indo-Tibetan cuisine. Its vibrant multi-cultural Indo-Tibetan activities and cultural festivals. Dharamshala can be the perfect refuge for friends and solo travelers who love to experience the diversity of culture and enjoy the scenic valleys. You can reach Dharamshala by rail with Pathankot being the nearest station, 85kms away. Hire a cab from Pathankot and reach your destination in two and a half hours. 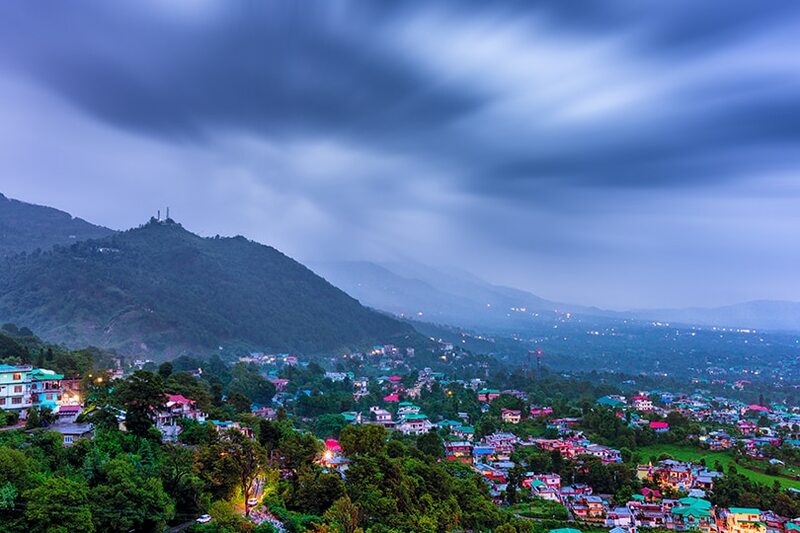 The peak season of summer between May-July is a great time to enjoy the serene view of Dharamshala. Head over to the Dalai Lama Complex and soak in the Tibetan culture. The famous Bhagsunath Temple dedicated to Lord Shiva is in Dharamshala where you can pay your respects to the deity. Get some respite from the heat by taking a boat ride in Dal lake and relax in the calm and lush greenery around while sightseeing the Royal Kangra Fort. Renowned as the “Queen of Hills” the Britishers once colonized this popular hill station in Himachal, which now stands as one of the most famous vacation spots for families in the country. With the majestic architecture built in the colonial era, the town of Shimla stuns tourists with its panoramic views at every corner. 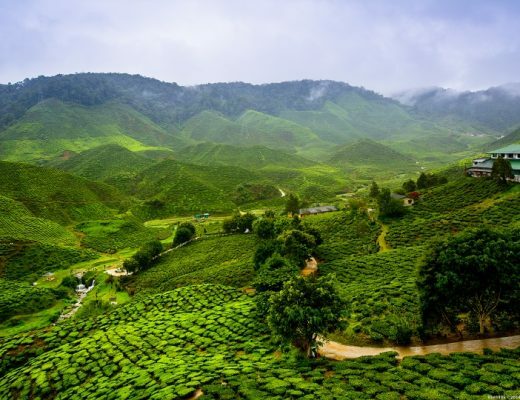 The green landscape and splendid peaks are the general topography of the place and offer a source of great outdoor activities such as trekking, hiking, horse-riding, and paragliding. Take a Trip To Shimla during the winter months to see the snow setting beautifully on its splendid canvas and create a mesmerizing sight, memorable for life. British colonized architecture and visually rich landscape. Shimla is the perfect family retreat spot to explore various architectures inspired during colonial times and engage in outdoor recreational activities. You can take a train from either Chandigarh or Delhi to Kalka; the nearest railway station from Shimla. Once in Kalka, hire a bus or a car and reach the destination in three hours. Also, many AC buses ply from Delhi to Shimla for a comfortable overnight journey. The most pleasant time to visit Shimla during summer is between May-July. Head to Shimla between November to January to witness snowfall in the region. Once in Shimla, do visit the grand architectural testaments such as Viceregal Lodge, Gaiety Theatre, Christ Church and Town Hall that marvels British elegance at its best. Enjoy trekking scenes at the Jakhu Hills with your gang. End the day while shopping souvenirs for your loved ones in the vibrant Mall Road. Are you looking for some adventurous thrills while holidaying in Himachal? Then you’ve come to the right spot! 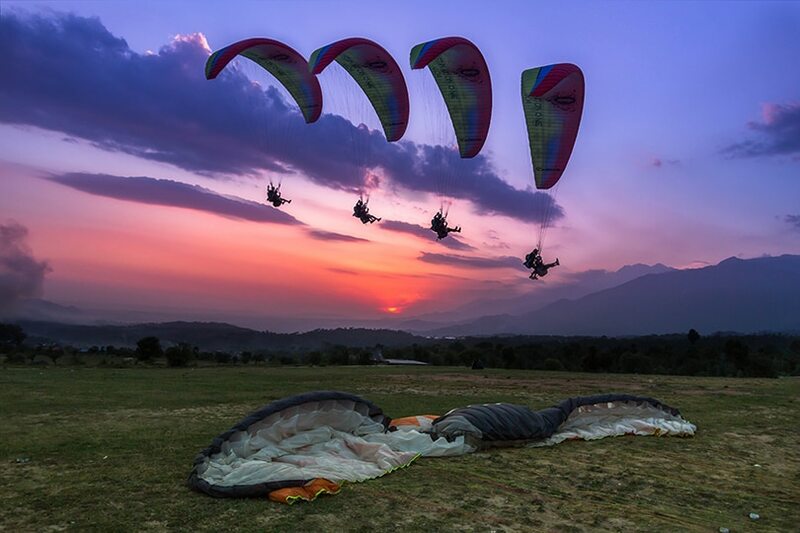 Famous as the “Paragliding Capital of India” this small town is the hotspot destination for some great adrenaline-inducing activities. With cool and comfortable weather all year and some serious jaw-dropping landscape views of the Himalayan Range, Bir Billing attracts flocks of adventure-junkies and thrill seekers from the country and beyond. Paragliding adventure sports and a panoramic view of the Himalayan Range. Bir Billing is famous for adventure sports such as trekking and paragliding. You can also backpack through to get some amazing iconic views of the Himalayas. Take a flight to Dharamshala and travel to Bir via road from Dharamshala which will make you reach Bir Billing in approximately 2 hours. Alternatively, you can also catch a train to Pathankot and hire a car from Pathankot and arrive in Bir billing in 4-5 hours. Though the weather is refreshing in the region all year, the place sees a high number of tourists in the months of May-July. A visit to Bir Billing is incomplete if you haven’t para-glided in the fascinating Himalayan valleys and enjoyed camping in the region. Apart from the sports-activities, you can also catch a glimpse of Buddhist culture in monasteries in Bhattu and Choggan settlements which are situated in the center of the lush forest areas. Head to Palampur Tea Cooperative to get a detailed tour on the tea-making process and experience something offbeat. 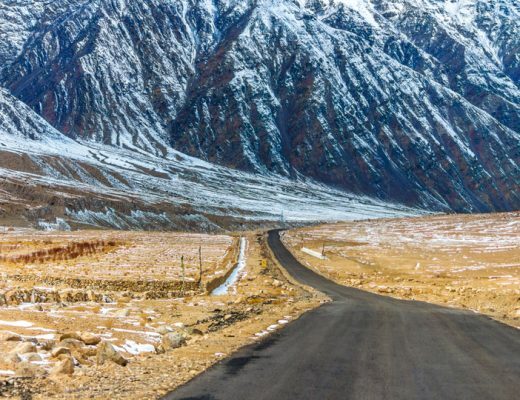 Go ahead and have a fun trip in these four best places to visit in Himachal and make these moments memorable for life! Visit OYO Total Holidays for great holiday packages for Himachal.